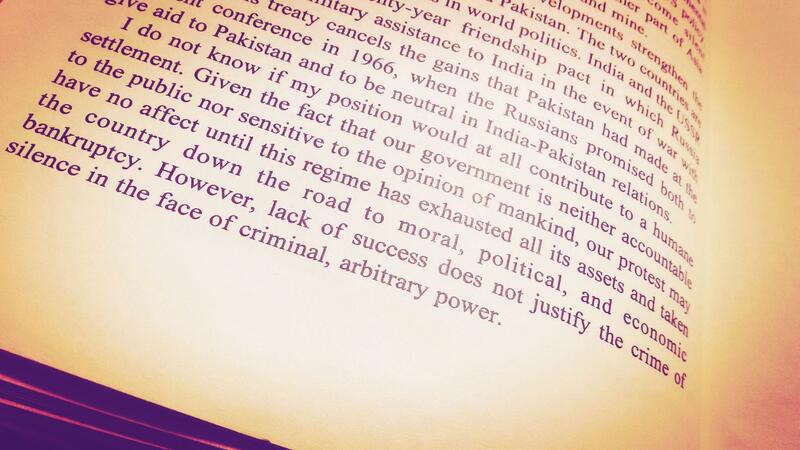 This line of response to atrocities within Pakistan is not new but has become rather common and frequent. The horrific recent assault on the Ismaili community in Karachi was also no different in prompting it among many. As mentioned before, attacks on religious minorities in Pakistan are often deemed continuation of the plague of terrorism in the country; violence that is raging yet indiscriminate, targeting and affecting all Pakistanis. However, the danger of this narrative is that it blurs a gory reality; that religious minorities face fatal focus from terrorists and extremists; especially targeted and massacred. From the Shia Hazaras in Quetta to Shikarpur, from Kot Radha Kishan to Youhanabad, and now Safoora Chowrangi, there is a cold-blooded calculation behind this blood-letting, and these are truly besieged communities. Violence against religious minorities and minority sects is a distinct, targeted violence aimed at their complete extermination from Pakistan. These are not sporadic bouts of savagery but a carefully planned, calculated and continued carnage aimed at ‘cleansing’ the land of pure from, what Lashkar-e-Jhangvi disgustingly decries the Shias as, ‘impurities’. There is a special distinction motivating these slaughters, that of religious identity, and this distinction cannot be brushed under the blanket of national identity without appearing as a travesty of truth. Anti-Shia violence precedes the war on terror since sectarian militant outfits like the LeJ and SSP, which have now come to be subsidiaries of major terrorist organizations due to their ideological commonalities, have existed since long. Those who have lived through the 80s and 90s would bear witness to this. Minority sects, especially the Shia, are labelled kafir to kill. They are singled out for being Shia and Shia alone. Any attempt to sketch attacks against them as any other reality is akin to the attempts made in the US to paint the Chapel Hill shooting of three Muslim students as a “parking dispute”, anything other than Islamophobia – which clearly outraged many Pakistanis. Obfuscation of narrative therefore blurs reality and blinds people to the prevalence and nature of injustice. Therefore, to say that the recent massacre is an attack on Pakistan is to obfuscate the narrative. It is an obfuscation that serves nothing but to perpetuate these atrocities and normalize their occurrence as part of the routinzation of violence in the country. This long-existing violence has only been emboldened by the prevalence and pervasiveness of state failure and complicity in overseeing the reign of terrorism in Pakistan. There is also a rush and tendency in Pakistan to make the perpetrators of these brutalities as monsters, that people from among us can never do such a thing. Yet their ideas are not new. They are the same ideas that thrive among many segments of the Pakistani culture and society; ideas drenched in anti-Shia prejudice. Ideas that run along, “Shias should not be killed but they…” Ideas that see the Shia as deviant Muslims distorting Islam, as religious “others”, which extremists and terrorists derive strength from, subsequently taking them a bloody stretch further by deeming them kafir and wajib-ul-qatal. However, as denying of internal rot as many are, naturally little time is spent to link all inconceivable acts of such cruelty to foreign forces. As religious minorities remain besieged by persecution, fear and discrimination in Pakistan, let us not lose sight of the fact that the state, with its spinelessness, indifference and links of patronage with these groups, remains complicit in letting takfiri militant outfits run amok with their hate and lust for blood. And as a society, perhaps if we cannot stop this butchery, we can at least try not to silence the screaming plight of these communities who are only guilty of being religious minorities in Pakistan today. There is no shortage of the absurd in the land of pure. 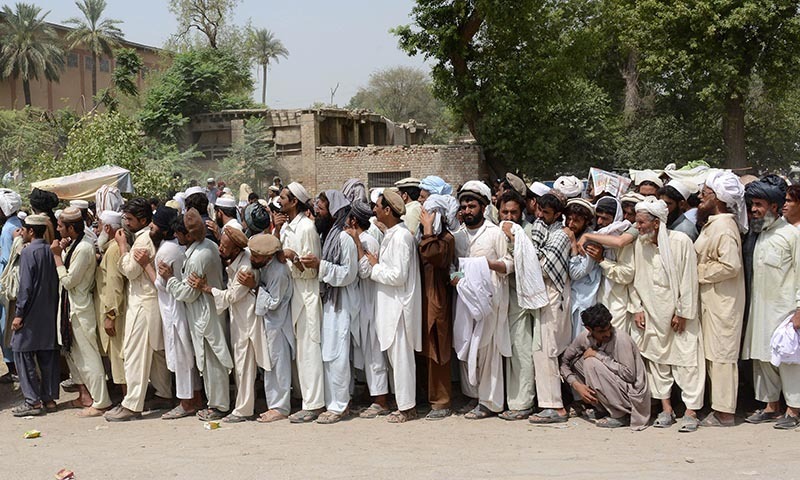 In continuity of the norm of absurdity, the returning IDPs of North Waziristan were recently required to sign a certain “Social Agreement North Waziristan 2015”. The document requires the reaffirmation of their allegiance and loyalty to the Constitution of Pakistan, the Frontier Crimes Regulation, along with a host of other things including that protection of government institutions as the responsibility of the tribes. The agreement, a compulsory and non-negotiable prerequisite for all returning families and tribes, is alarming in all its character. By placing doubt on the loyalty and allegiance of a people who made the greatest sacrifice and abandoned everything for a war proclaimed in the name of Pakistan; and by placing immense responsibility on them for preventing elements on their land, that caused them such hardship in the first place, is but a travesty that stands as a deplorable testament to the Pakistani state today. The obligation upon the people of North Waziristan to “keep their soil free of anti-state elements” is a clear reversal of traditional roles of the state and the people with the former responsible for the security, safety and protection of the nation. It is a denial and disavowal of the state’s responsibility by the state itself. However, the origins of such obligations and requirements are not new, rooted deeply in a product of British colonialism of 1901 that still prevails in FATA and upon its people in the 21st century: the Frontier Crimes Regulations. Formulated to rein in Pashtun opposition to British colonialism, the FCR has only been nominally amended since. Legislation passed by the Pakistani parliament is invalid in FATA due to Article 247 of the Constitution which invalidates the application and operation of laws made by the Parliament, and removes FATA from the jurisdiction of Pakistani courts. It truly is shocking how a colonial relic is very much alive in governing the people of an independent country in the 21st century. 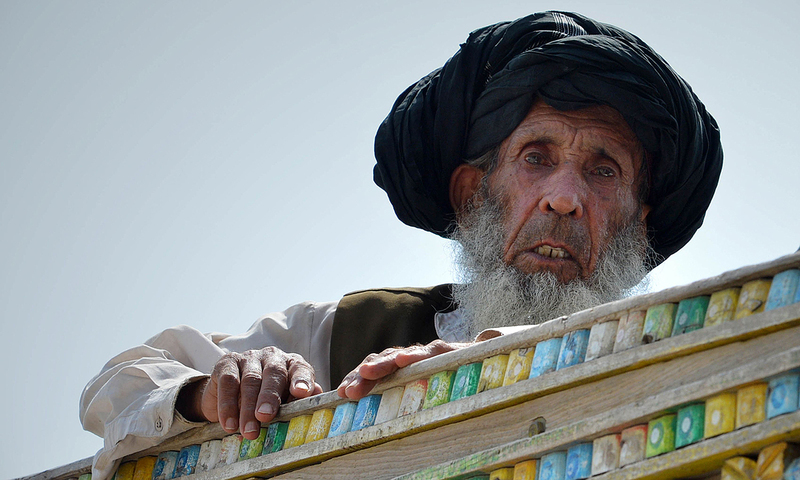 And while the rest of Pakistan may debate over the progress of democracy, civil liberties and rights, the people of FATA are still virtually colonial subjects, governed by a colonial set of relations, barred from the share of any political, social or economic development and participation in the rest of the country. The prevailing existence of the FCR in Pakistan is, but a stark reminder of the bleak credibility and character of democracy in the country; and the character of the state and country itself. The Agreement proceeds to further say that, “You will not become part of any action intended against peace and security of Pakistan and will prevent enemies of the state, Constitution and institutions or local and foreign terrorists from using your soil against the country”. While the part about not becoming part of any action intended against the peace and security of Pakistan seems fairly clear and innocuous, a second glance reveals the opposite. Since compliance with the FCR has been the main component of the allegiance, challenging the draconian system of laws would naturally constitute a challenge to the state; a disruption to the peace and security of Pakistan. Conflating the FCR with the state, which virtually doesn’t exist in FATA, and Pakistan, is farcical at best. It is also precisely because FATA is virtually removed from Pakistan in every aspect, that the region is open as a fertile ground to local and foreign actors, along with powerful organs of the state, their machinations and plays – a state within the state – all at the expense of the people of the region. The formulation of this Agreement thus, leaves no room for hope against bringing the people of FATA in the mainstream of the country with full citizenship rights; and attempts to subdue the utmost necessity of doing so. The Agreement is also indicative of the lack of intent prevalent in the corridors of power in Pakistan regarding the reform, repeal of the FCR, or any relief for the people of FATA. During President Zardari’s tenure, a number of amendments were made to the FCR which included the extension of the Political Parties Order of 2002 allowing the operation of political parties in the region, the right of appeal against decisions of the political agent; and changes in the Collective Responsibility Clause for women, children and senior citizens in cases of arrests and detentions. However, their practical implementation is subject to much debate today; as the amendments themselves remain bound within the FCR framework that still holds FATA in its grip. The FCR is a chief instrument of the dehumanization of the people of FATA who are daily witnesses to myriad difficulties and horrors, which barely make the margins of our news, let alone national and political consciousness. The late Justice Cornelius is said to have famously remarked that the FCR is “obnoxious to all recognised modern principles governing the dispensation of justice”. And his words resound even more loudly today. Perhaps it would be more prudent if our lawmakers, leaders and media persons discussed and debated the conditions of FATA and Balochistan as vigorously as Pakistan’s possible role in a conflict in the Middle East. For Pakistan cannot move an inch forward with such shards sticking painfully in its heel. 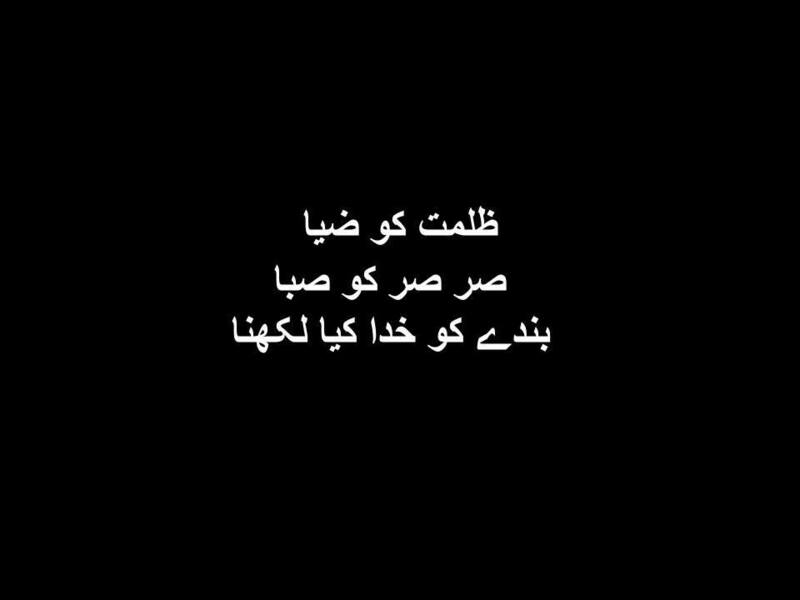 From Aasia Bibi, Rimsha Masih to Shama and Shehzad; blasphemy in Pakistan hangs like a sword over Pakistan’s religious minorities. 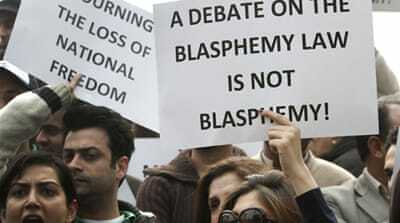 However, amid the cases, there is a concerted effort underway to push for reform regarding the blasphemy law in Pakistan, by the name of Engage. A non-profit research and advocacy organization, Engage is pushing for the reform through research and dialogue, by way of which it aims to impact and change the discourse; legal, social and cultural frameworks surrounding the issue of blasphemy in the country. Unlike the usual frameworks, such as those of human rights, used to structure debate and discourse against the Blasphemy Law in Pakistan, Engage is rooted in the singular framework of Islamic tradition for the pursuit. During his recent talk at the Lahore University of Management Sciences, researcher Arafat Mazhar, who is one of the main individuals associated with the organization, continuously reinforced that authority has to be established in order to counter the dominant narratives prevailing on the issue in the country; and that this authority and evidence has to be derived from the same source which is used as a legitimating basis for the Blasphemy Law i.e Islamic tradition. Engage, therefore, pursues the important deconstruction of what it calls the erroneous basis of the law through Islamic tradition; chiefly through Imam Abu Hanifa’s position that blasphemy is a pardonable offence for non-Muslims. Moreover, Mazhar spoke of Ismail Qureshi, architect of the Blasphemy Law in Pakistan’s, and his disastrously incorrect reading of Ibn-e-Abideen (1836) whom he referenced to lend weight to the law. It was Ibn-e-Abideen, who, in fact, pointed out the line of false narration regarding the Hanafi position on the issue of blasphemy by non-Muslims. And as written in his articles for Dawn, he reinforced the significance of this Islamic tradition by mentioning that the position of blasphemy as a pardonable offence for non-Muslims “was approved and signed by no less than 450 of the most prestigious names in the Hanafi ulema, not just from South Asia, but around the world” (which included Ahmed Raza Khan Barelvi, founder of the Barelvi school of thought to which, ironically, Mumtaz Qadri belonged). “Our research actually shows that the law is built on erroneous religious foundations including misquotations and misrepresentations of authoritative classical Islamic jurists. In Mazhar’s words, “legal reform cannot take place in a vacuum in Pakistan” without addressing the popular social and cultural acceptance and prevalence underlying the Blasphemy Law. 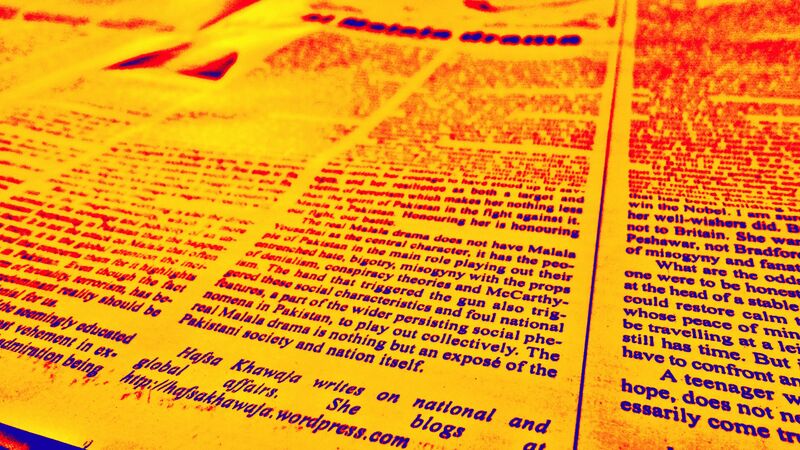 In short, Engage aims to make use of solid research in Islamic tradition to delegitimise the basis of the Blasphemy Law in Pakistan and engage the general public, society, culture, institutions such as the government, judiciary, religious scholars and groups such as non-governmental organizations and the civil society in Pakistan along with the international community of Islamic scholars, in order to push for reform of the law. Well-aware of the ire, controversy, dangers and suspicions such a campaign can and does invite, Engage seeks to maintain a clean character of its campaign – free of affiliation, association with different interests – by seeking funds to support itself and its objective through crowdsourcing. And truly, if Pakistan is to chart a peaceful and pluralistic future for its citizens and religious minorities, it is essential to engage with and overcome all that sustains the Blasphemy Law.